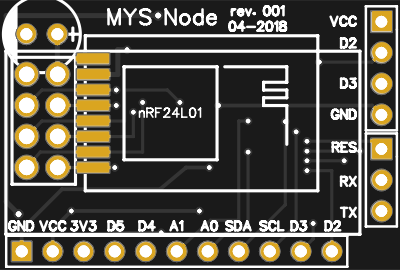 It is possible to install both standard and SMD version of NRF24 module. For power of NRF24 used LDO XC6206. Present place to solder pull-up resistors for RES, D2, D3, SDA, SCL signals. 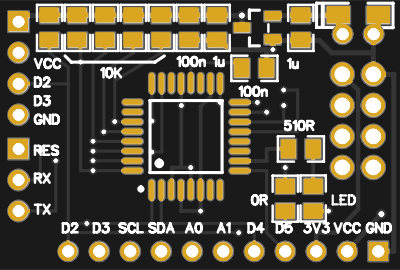 It is also possible to install LED connected between D6 pin and 5V through 510Ohm resistor. Signal D2 may be connected to IRQ of NRF24 through 0Ohm resistor.